Wadesboro - Mrs. Anna Lee Waddell Taylor, 91, died Wednesday, September 12, 2018 at Carolinas Medical Union in Monroe. The Taylor family will greet friends from 6:00pm until 8:00pm Friday, September 21, 2018 at Leavitt Funeral Home. Funeral services will be 3:00pm Sunday, September 23, 2018 at Brown Creek Baptist Church with Rev. Curtis Williams, Rev. Irvin Thompson and Rev. Donald Thompson officiating. Interment will follow in the church cemetery. Anna Lee was born May 24, 1927 in Anson County, NC a daughter of the late William Herman Waddell, Sr. and the late Clara Maude Lee Waddell. She was a graduate of Polkton High School, Wingate College and Women's College in Greensboro, now UNCG. She worked for a number of years as the Home Demonstration Agent for Union County, She also taught Home Economics at Polkton and worked for a number of years at Anson Technical College in Adult Basic Education and Activities Director at Wadesboro Nursing Home through Anson Tech. 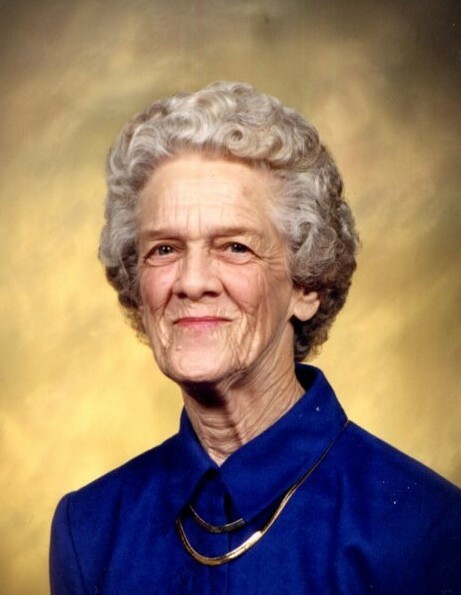 She was a life-long member of Brown Creek Baptist Church, where she had played the piano for 20 years while her brother, Bill directed the choir. She was also active in the WMU, taught Sunday school and taught in Vacation Bible School. Surviving are her husband of 65 years, Herbert "Tom" Taylor; her daughters and sons-in-law, Clara Lee (Bobbie) Johnson, Mary (Ted) Moore and Nancy (Mike) Williams all of Wadesboro; her grandchildren, Adam (Pam) Johnson of Monroe, Mike Williams Jr., Hannah Williams, Hunter Williams and Rocky Moore all of Wadesboro; her sister-in-law, Sadie Moore Waddell of Wadesboro; her nephews, Buddy (Joye) Waddell of Wadesboro and Steve (Sharon) Waddell of Charlotte and their families; her nephew, Add Waddell's family as well as numerous cousins. In addition to her parents, she was preceded in death by her brother, William Herman "Bill" Waddell, Jr., an infant sister and a special nephew, Add Waddell. The family would like to express their gratitude to Kindred at Home and staff, Ben, Karen, Tommy, Brandy and Danielle for the care they gave Anna Lee and the family. Also, a special thank you to Dr. Lincoln and his staff for all they have done for Anna Lee. In lieu of flowers, memorials may be made to Brown Creek Baptist Church Cemetery Fund, c/o Mary Moore, 151 Cameron Rd., Wadesboro, NC 28170.